For five years, David led an outreach at a local park in Springfield during the summer for the homeless and struggling. That ministry, called ParkFest, provided a free meal and the message of Christ. In the Fall of 2008, Evangel Temple, with David’s leadership, officially started Inner City Outreach year around. In the fall of 2014 Inner City Outreach was merged into the center-city church campus of Embassy of Hope. Today David and Elaine labor in leading the family of God at Embassy of Hope into a strong and mature relationship with Christ through teaching and mentoring. Bob and Diane are former educators from Illinois who moved to Nixa in 2008. Diane was an Elementary Teacher for 28 years and Bob was a High School Physics/ Mathematics/Photography Teacher for 33 years. 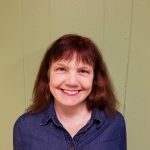 Diane was a church Organist and Missionettes Director for thirty-three years and a Sign Language Instructor. 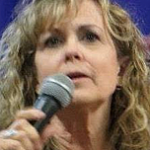 In recent times Diane has served as the President of the Evangel University Women’s Auxiliary for two years. Bob is currently beginning his 42nd. year as a Royal Rangers Leader. Diane has taught classes for women at EOH and assisted with Women’s Ministries. 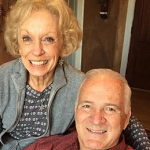 Bob and Diane have three children and seven grandchildren. Today Bob is the coordinator for facility remodeling and improvements at Embassy of Hope and both enjoy praying, mentoring and helping lead others to a more enriched walk with Jesus Christ. Drs. Brian and Heather Kelly are professors, practical theology and psychology respectively, as well as ministers of the gospel. Alongside of their teaching ministries at Bethany University, Southeastern University, and now Evangel University, they have been lead pastors/church planters/revitalizers in 3 churches in Southern and Northern California and Florida before moving to Springfield. Brian is an ordained minister with the Assemblies of God. They have 3 children and Jasper their dog. “Of the hundreds of churches I’ve ministered in, Embassy of Hope is a standout for expressing what genuine New Testament community is all about.” – Rev. 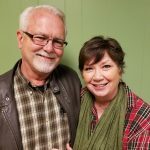 Brian Kelly, Ph.D.
Russ and Ruth have been active in many different areas of church ministry for most of their lives, including several years in Germany and Italy while Russ served in the US Army. Ruth’s primary ministry focus is as a greeter, sending birthday and anniversary cards and baking cookies for church events earning her the moniker, “Cookie Lady.” Russ has been a teacher and filled many other church positions as needed. Today his primary focus is writing Bible devotions, commentary and prayers which are distributed on the Internet. 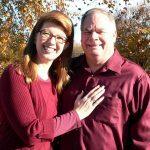 Jonathan and Kathleen have been involved in church ministries for many years. Jonathan is the son of former missionaries to India, and is now a retired pastor, Bible teacher, and missionary. Jon and Kathleen have five daughters and several grandchildren, some of whom attend Embassy of Hope. Kathleen, from Boston, had a radical conversion from atheism, and came to know Christ at the age of 30. 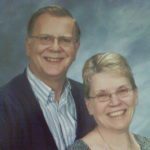 Jon and Kathy are involved in teaching and music ministry at EOH, and strive to instill a simple love and discipleship of Jesus Christ in those they meet. Their goal is to strengthen and encourage followers of Jesus, as well as those who don’t yet know him, and themselves to grow in knowing Christ. Elaine has been in nursing for over 20 years and for most of her life she has held positions in children and ladies ministry. Since the beginning of Embassy of Hope Elaine has labored tirelessly for women and their spiritual and physical needs. Her heart is for women to get beyond their drama and the cycle of addiction and abuse growing deep roots of maturity and breaking free into a sincere and consistent relationship with Jesus Christ. Elaine has three grown children, twelve grandchildren and five great grandchildren. 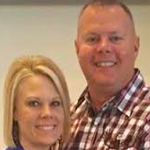 Cliff and Brandy Riddle have been involved in Children and Youth Ministry for several years. They are former members of a local United Methodist Church were they served in a variety of ministries. 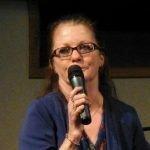 Brandy has served with The Next Generation Ministries of the Missouri Conference of the Untied Methodist Church for several years. She has served as the Church Life Coordinator, Nursery Director and was the Director of Children and Youth Ministry. She attend classes through the Missouri Conference on Lay Ministry. Cliff has enjoyed being active in the Church by serving as the Chairman of the Church Board, Chairman of Trustees and assisted in the Youth Program. Cliff and Brandy are happily married with 2 beautiful daughters whom are also active in serving the Lord. They are proud grandparents of two grandchildren. 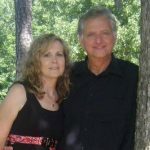 Michelle is a longtime member of Evangel Temple where she taught children’s Sunday school for over twenty-five years. This past spring Michelle felt God’s calling in ministry at Embassy of Hope. She immediately teamed up with Brandy Riddle, director of children’s ministry and began teaching the middle school children. Along with teaching the children about Jesus, she enjoys assisting with decorating and organizing the children’s classrooms. The middle school children recently outgrew their former class room and they have been blessed with a newly renovated classroom. Michelle is looking forward to outgrow it as well. Michelle and her husband Stan have been married for thirty one years. She has a step daughter, and four grown sons. She also is a proud Grandmother of two grandsons. Amber has been involved in Children’s ministry for several years. Her passion and calling is to care, love and teach children about Jesus. Amber came to Embassy of Hope thriving to make a difference. Embassy of Hope is where she found her home. Amber is happily married to Devin Thomason and they have two beautiful children. One of Amber’s favorite scriptures is found in Proverbs 31. Cathy has been with Embassy of Hope since the beginning. 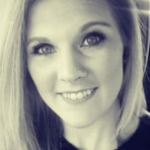 Coming from a background of addiction she has grown in her relationship with Jesus to such a degree that her whole life is centered around her Father in Heaven and her Lord Jesus. In 2014 Embassy of Hope started the Two by Two Ministry and she gladly volunteered to lead this effort to reach out to the shut ins, visit the sick and those in need. She also leads our welcome area every Sunday morning.